At South County Drywall we offer a quality acoustic popcorn ceiling removal, drywall repairs and installation. We also offer our "No Mess" Kitchen Ceiling remodeling as well as Painting, and Recessed Lighting Installation. Our experience of over 20 years enables us to offer quality work at affordable prices. We guarantee that you will and be completely satisfied with the finished job. When drywall, painting and recessed lighting service is needed, it is important to know the reputation of the company which you do business with. Please ask for a list of our satisfied customers to call. We know the business inside-and-out and insist that each job be perfect and meet your standards. All of our employees are experts in acoustic ceiling removal, wall and ceiling texturing, and most importantly drywall finishing. All of our employees are experts in the Drywall Field. We also have experts in recessed lighting, electrical, and painting. From beginning to the end of your project we can help! South County Drywall is favorably known for quality work and fair pricing. Much of our success is due to the fact that we stand behind every job. We offer a quality guarantee where we insist that you only pay us after you are completely satisfied. Most importantly our work carries a one year warranty. * This warranty is a located on the back of every contract that is given to the client to sign. You can contact us to understand this in detail. 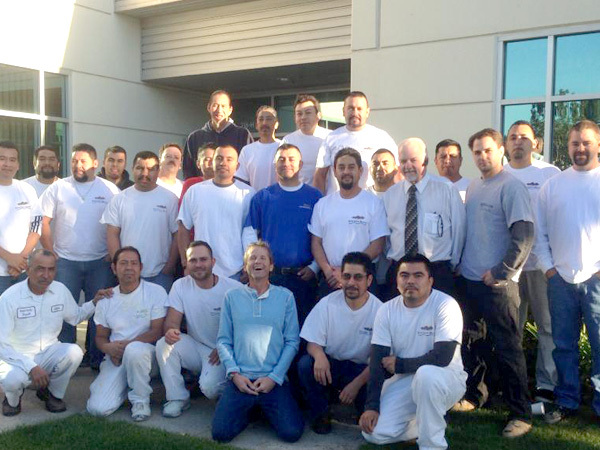 South County Drywall is located in Irvine, and services all of Orange, Riverside and LA Counties. Call today 949.679.4411 or Click Here to set-up your free in-home estimate.